A tradition since 1984, the Temecula Valley Balloon and Wine Festival welcomes guests from all over Southern California as they dance to our music, laugh with clowns, fly with balloons. Enjoy music, food and wine tasting from Temecula's award winning wineries. 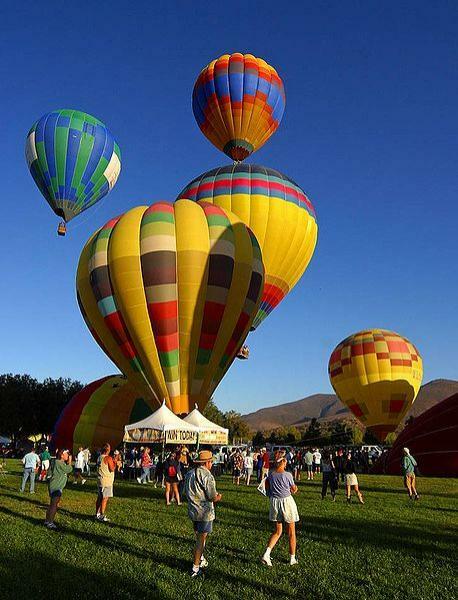 Date:The Temecula Balloon and Wine Festival is held on the First full weekend in June. The Temecula Valley Balloon and Wine Festival, then known as the Rancho California Balloon and Wine Festival, was started in 1983 by Walt Darren, a commercial airline pilot and avid balloonist and by Evelyn Harker a veteran event organizer and fund raiser. Evelyn immediately suggested it might "fly" even better if it involved some of the area’s other natural attractions such as wine tasting, culinary presentations and entertainment. And as the old saying goes; "The Rest is History".